Once the Jet Data Manager has been installed and configured you can use Jet Reports to create a connection to your cubes and start creating valuable reports. Before creating a connection to the cubes you will need to set permissions for your users. Navigate to the Jet tab and click Data Source Settings. Click Add. 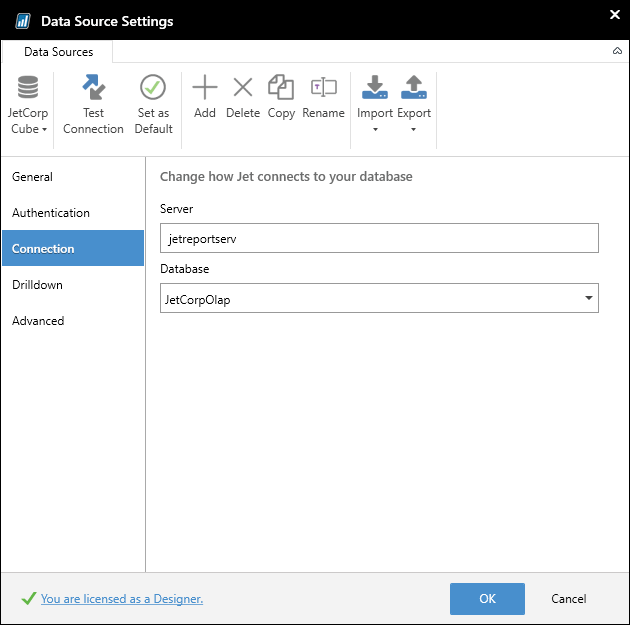 The New Data Source dialog will open. In the Name field, enter a friendly name for your cubes (in this example we choose the name Jet Cubes). 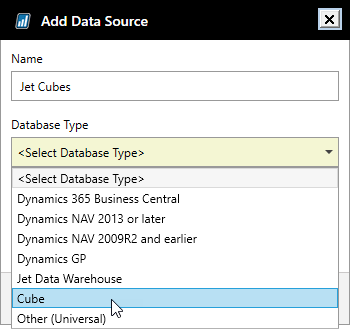 In the Database Type drop down, select Cube. Click OK .
On the Connection page, enter the name of the server where the cubes reside. In the Database field select your OLAP database. Click OK .
Once the Jet tab, click the Pivot Table button to create a pivot table. You will now see your Excel screen with your cube's Measures and Dimensions show in the PivotTable Fields panel on the right. 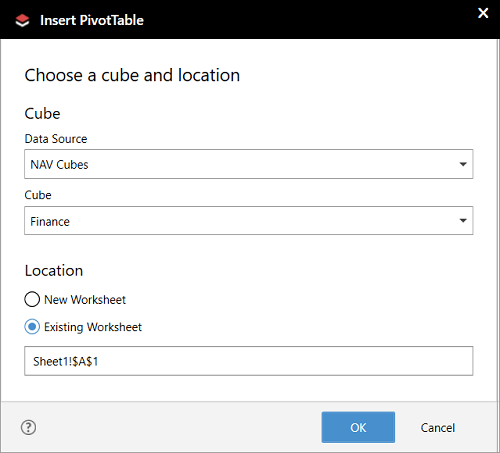 For detailed instructions on using cube-based pivot tables, see the videos at the top of this article.